Teachers know how hectic and busy the prior months before graduation can be for students. We want to help your students make good use of their final days by reminding them exactly how much time is left. 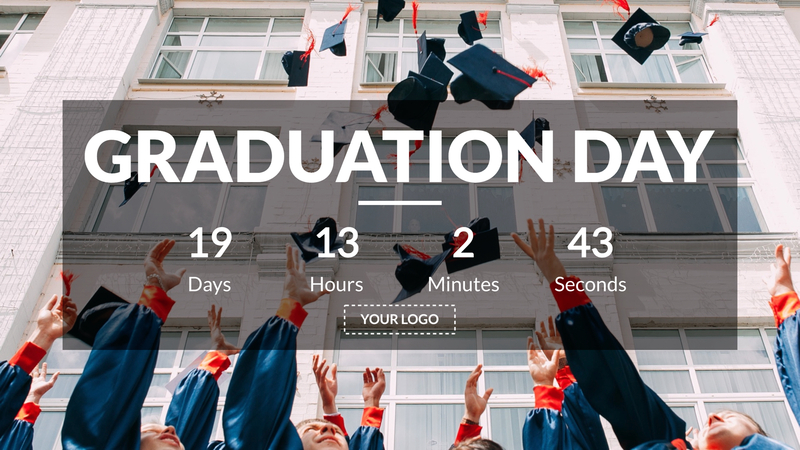 Add this countdown Template, personalize it with your logo and countdown date then add it to your Displays. Help your students be excited and prepared for the big day.